These quality yoga pants are designed to contour perfectly to your body, giving you a streamlined look. Ultra-Stretch Fit (Enough thickness with breathability: No See through) that slims, conforms, and contours with each pose and movement. Moisture Wicking: Non see-through, moisture-wicking, breathable and stretchy fabric provides complete coverage. Provides lightweight comfort along with sweat absorption and drying capabilities. Stretch Nylon Fabric with High-Waist Active Elastic Waistband: Exceptional Stay in place elastic waistband that is fabulous, stylish, and appropriate. Perfect for yoga, exercise, fitness, running, any type of workout, or everyday use. With right top/shoes can definitely be appropriate for more formal environments. 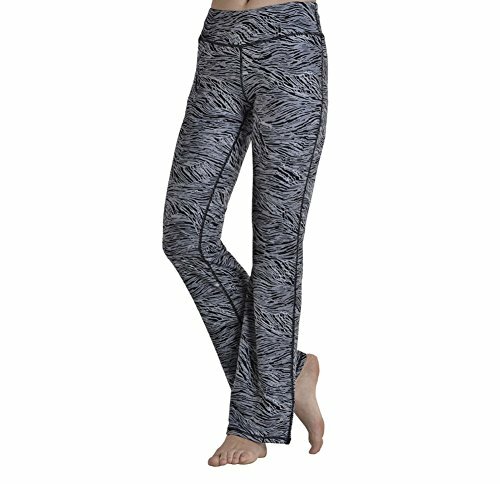 Buy with confidence "Premium Quality Yoga Pants at a Bargain Price" (Equal high quality and build material as compared to other $50+ Brands). If you don't love our products, simply return them without question within 30 days. Select your favorite color and ""Add to Cart"" now. Designed for excellent ventilation and breathability, dissipates heat easily.Provide a comfortable fit. S: Waist:29.13" Hips:31.5" Crus:18.5" Length:39.37"
M: Waist:30.71" Hips:33.07" Crus:18.9" Length:39.76"
L: Waist:32.28" Hips:34.65" Crus:19.29" Length:40.16"
XL: Waist:33.86" Hips:36.22" Crus:19.69" Length:40.55"
Before placed an order, please check the size chart to ensure your needs.